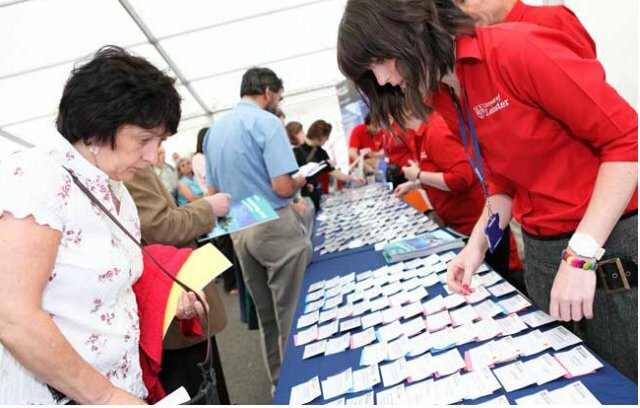 Marking the Annual Homecoming event on 26th June Leicester University selected Pearl Marquees to be their hire supplier for a very special Homecoming event that presented the celebrations of 50 years space science at the University. Situated at the heart of Leicester University campus Pearl Marquee’s Clear span marquee structure was installed in a prominent position alongside children’s rides, magic shows, face painter and rocket making. Over 500 graduate and staff visitors were greeted in our modern Registration Marquee where guests registered their attendance and individually were offered a breakfast reception. Following this guests were then free to choose from a range of mini lectures and demonstrations and for those guests who graduated in the 1970’s a new event was hosted in the University marquee called “Lost Alumni Breakfast” giving fellow alumni the opportunity to catch up with graduates they hadn’t seen for 30 years. A major highlight to the day was the lecture “Hubble Telescope and the Future of Human Space Flight” delivered by a real-life astronaut Dr Jeff Hoffman who has over 1000 hours of flying experience. After lunch as the day got much warmer and all the guests had a chance to unwind in the Registration Marquee and enjoying free ice cream. 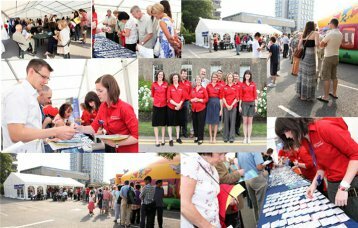 The whole event was a spectacular day fun-filled with educational activities enjoyed by many adults, children and many families and we have an expertise of providing University Marquees for any type of event. To find how you can hire a structure for your event contact us today.